When going on holidays it is easy to forget that your feline friend needs looking after too. When deciding what to do, your cat’s happiness and wellbeing is of utmost importance. 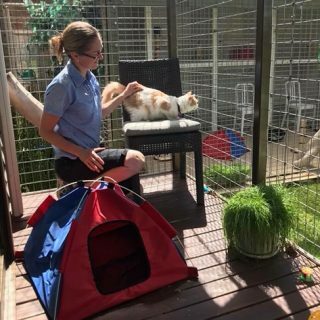 More and more owners are booking their cats into a luxury cat hotel in Sydney where they can truly have a special, familiar, safe and secure experience with 24/7 care. Staying in luxury cat accommodation has lots of benefits for your feline friend! 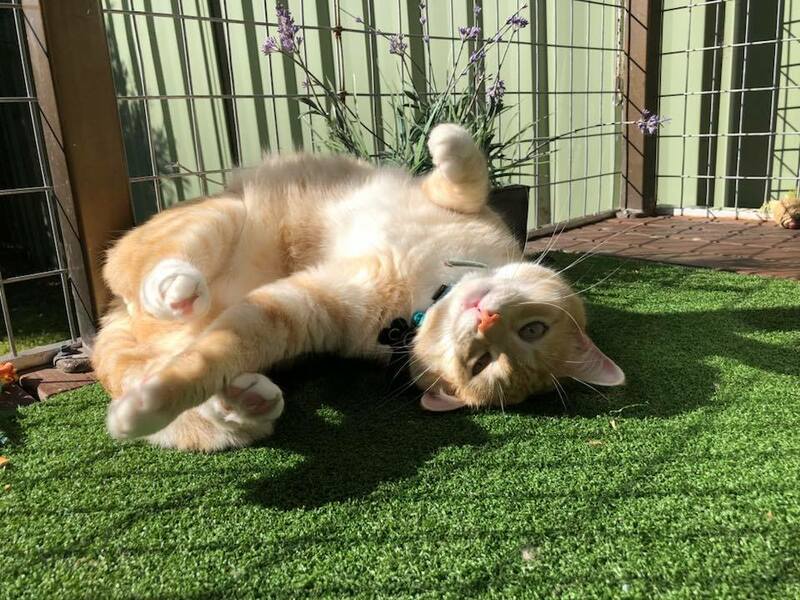 At SmallPaws Pet Hotel in Sydney, we not only give our feline guests healthy food every day, but they have fresh water, comfortable bedding, their own separate room, fresh air, sunshine, toys, scratching poles, a hiding box and lots of attention and cuddles (if they like cuddles!). Some owners are hesitant to put their cats into a luxury cat boarding resort, mainly because they are not sure if their cat will want to be away from home. 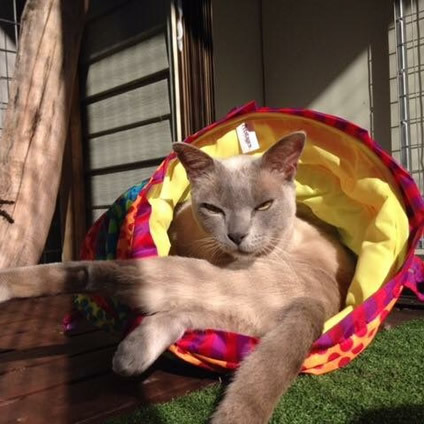 At SmallPaws Pet Hotel we find cats grow accustomed to their change of environment more quickly than you think. Vets see a far greater risk of illness and injury when cats are left at home alone. 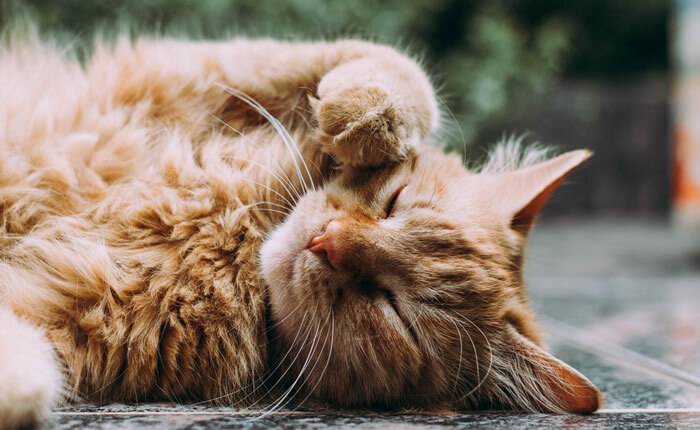 The peace of mind that you will have knowing that your cat is being looked after 24/7 with love and care, makes it really worthwhile to spend some time helping your cat to get used to the idea! After all, what happens if your cat becomes sick when you are away and there is no one at home to notice? 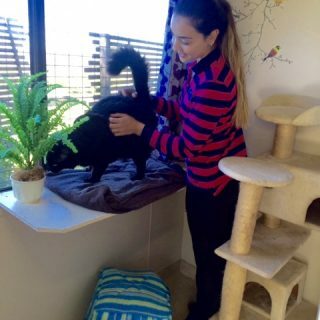 Our vet is just around the corner and a quick phone call away, so you can rest assured that your feline friend will have the very best care when they stay with us at our premier cat accommodation in Sydney. All staff are qualified animal carers with over 50 years combined working experience in the industry. 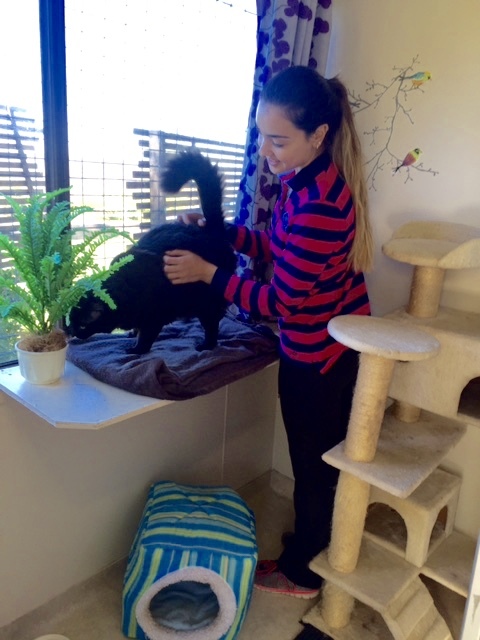 If your cat is a social being and likes to interact with other people and feline visitors to your home, then your cat should feel right at home in our luxury cattery. If that doesn’t work for your cat, just let us know that they prefer their own company and we will oblige them. To get them used to new faces, ask visitors to your home to say “Hello” to your fur baby and give them a cuddle. 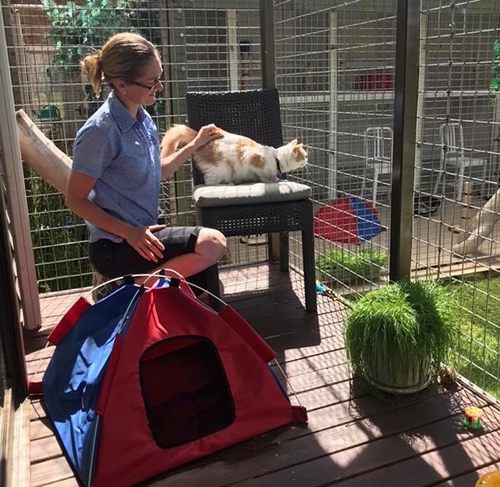 All of the feline guests at our Cat Hotel in Sydney have their own separate accommodation, so the only time they can interact with other cats is when they are comfortable to join our other feline guests in our supervised communal play area. 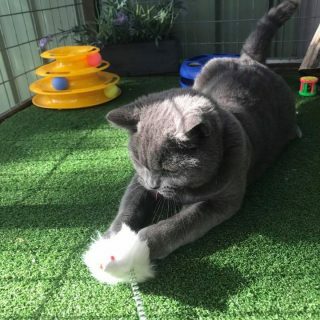 If your cat prefers to play on their own however, then that’s not a problem, because we can give them their own special time in the play area. 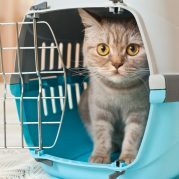 Teaching your cat to enter their travel case and ride in the car is also beneficial for your cat, not just for when you drop them off at our luxury cat boarding resort, but also for taking them to your vet. Take the door off the case for safety, and leave it around the house with a blanket and perhaps a treat inside to get them used to entering the case. Taking them for a trip to a friend or relative’s home helps them to socialise and to realise that car trips don’t always mean the vet! 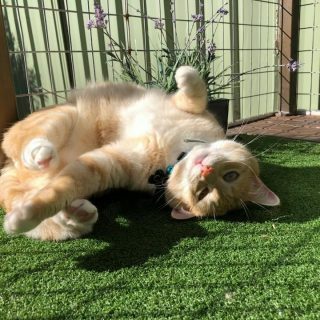 To ensure your feline friends routine can stay as familiar as possible, let SmallPaws staff know about your cat’s particular likes, dislikes, and food preferences. If your cat is particularly fussy, you may want to send along some instructions on what works best for you at home. 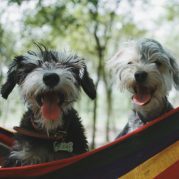 At SmallPaws we have a customer portal available 24/7 so you can add the information at anytime. At our luxury cat hotel, all we want your cat to worry about is which chair is best to relax in the sun. Cats settle quickly when they recognise their safe surroundings and some familiar faces. The stability and security of a long-running Hotel like SmallPaws, ensures that when your cat arrives they see familiar surroundings and faces and feel at home straight away. 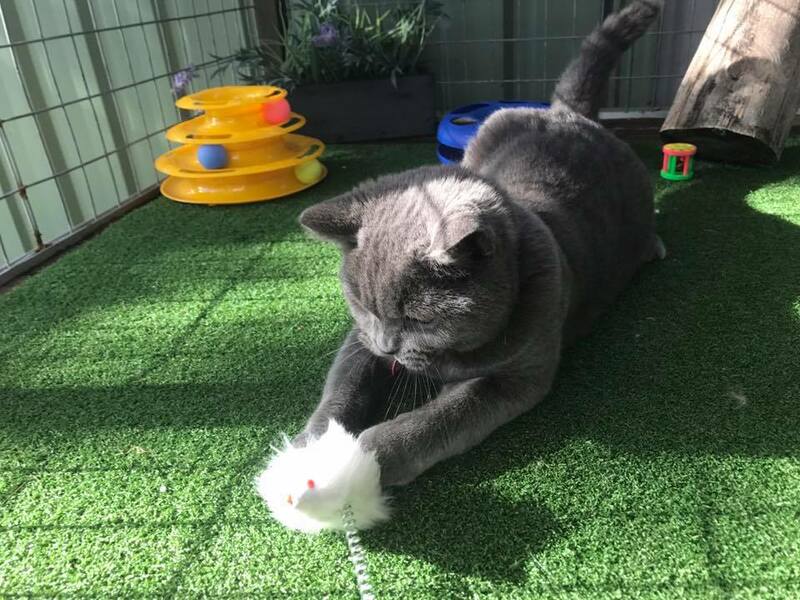 Also, you are welcome to bring your cat’s favourite toys or bedding with them, so that they have the familiar smells from home to enjoy during their holiday at their own luxury cattery in Sydney. If you can’t bring in your cat’s bed, buy a bed just for holidays and get your cat used to sleeping on it at home. Your scent can also help your cat settle, a useful trick is to put an old sheet or shirt in your bed or laundry basket so it picks up your scent. We will then use the item as part of the bedding. Don’t forget to have your cat’s vaccinations up to date and bring their vaccination certificate along with you when you drop your cat off with us. or send us an email. Inspections are welcome during the school term between 10am-12noon Monday to Saturday. Tips on how to travel with your cat in the car!